Moving can be an exciting, yet stressful and difficult time for everyone involved. There are a lot of logistics that go into arranging and planning for a move. Not to mention filling out change of address forms, canceling or transferring services, notifying all your friends and family you are moving, and eventually having to say good bye if you are moving long distance. So, after you’ve hired the best moving company to help relieve some of the stress from the move, how do you inform everyone important in your life that you are moving? There are a few fun and creative ways to spread the good news! Nowadays pretty much everyone has an email address or two, not to mention that sending an announcement about your move via email is super easy and convenient. There are online programs that allow for you to create a fun, fancy, or creative announcement that fits your personality. There are even some programs that allow for you to add animation to your announcement, the possibilities are endless! While email might be more convenient, there might still be some people in your life that haven’t quite made the transition to using email as their primary form of communication, either that or its your 80- year old grandma who is stuck in the ‘70s! You’ll be able to print off your email announcement and send it on its way! If you’d prefer you can pick up some cute pre-designed postcards and send that with a personalized note about your upcoming move. Goodbyes are generally hard, and no one enjoys them, so why not have fun with it and throw yourself a goodbye party? This is an especially good idea if you are going to be moving far away, having a goodbye party will allow you spend time with your closest family and friends. If you are needing help or motivation to pack, organize a packing party where everyone that comes helps to pack while enjoying some food and good company! Chances are that when you get settled into your new place, your friends and family are going to want to see it, if they haven’t already. Having a housewarming party is a great way to not only show your new home to those who helped you get there, but also to get to know and connect with your new neighbors. Take a picture of the outside of your new home and include it on the announcement to help everyone have an easier time finding your place. You can keep this party low-key with simple finger foods and fun conversations! Sit back and enjoy having your old friends in your new place! Whether you are moving across town, across the state, or even across the country there are fun and creative ways to inform those who are most important in your life about your upcoming move. Announcing your move is the easy part when you trust the hard part of actually moving to the best moving company around—White Glove Moving and Storage. We take the time to carefully pack and transport your items to ensure that everything arrives in one piece. At White Glove Moving and Storage, we will treat your family as if you were our own. 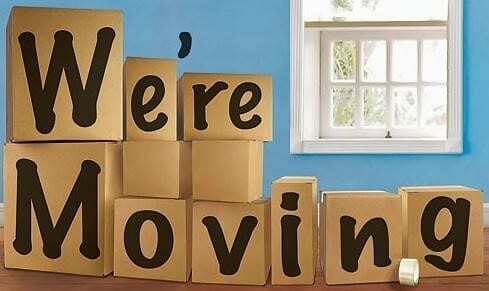 Contact us today to learn how we can help make your next move easier and a little less stressful!